Joe and Roderick have hired an independent militia to track down and recover Joe’s wife Claire and bring her to the compound. Joe begins manipulating Roderick away from his day job to make him take responsibility for finding Claire with the militia, since he has failed twice before. Joey and Jacob rekindle their friendship within the compound, and Joey is still in Emma’s care. While reuniting with Joey, Jacob will not speak with, or entertain a personal conversation with Emma. Ryan arrives at the hotel or apartment which Claire is being held to attend to her personal detail. Claire has no idea what has been happening while she has been in protective custody. Ryan fills her in on the extent of Joe’s terrorism to get to Claire. Ryan and the team assigned to Claire take action to move Claire to another location due to the information compromised since the FBI computer had been hacked. While Ryan and the protective team are arranging to move Claire, Roderick and the hired militia close in on the hotel and work their way up to the room Claire is being held, killing anyone in their path with the stealth of a Navy Seal, donning ski masks and black clothing. The FBI agent monitoring the tvs which scan the halls and entrances to the hotel alerts everyone that the militia is on site, and something is wrong. He instructs Ryan and Claire to escape out the back sliding glass door (very odd inclusion to a hotel room!) which they do, leaving he agent to sacrifice himself for their safety. Predictably, he is shot, but without struggle, he is shot by a high powered automatic weapon through the door to the room. Claire and Ryan make their escape all the way to the parking lot where they are confronted by a militia member and Claire is grabbed and held at gunpoint. Ryan managed to shoot the Militia member in the chest and he and Claire escape in an SUV. The Militia member, although knocked to the ground, rouses himself, and is unharmed thanks to the bulletproof vest he is wearing. This is an odd encounter as he is not a main character, and usually those types of characters don’t survive and encounter with main characters like Ryan or Joe. Ryan stops the car on their escape and removes the GPS unit from the vehicle, and they both remove their SIM cards from their phones to avoid being tracked by anyone at all. They continue their escape. Claire and Ryan escape to the home of a former FBI agent who has disappeared into the safety of witness protection. There is a flashback to a time when Ryan has written his manuscript to his book and lets Ty look it over. Ty advises Ryan not to publish the book if he thinks it will bring him fame and fortune. Ryan asks if he should publish the book because it will help him move on from the incident. Ty agrees, that under those circumstances, Ryan SHOULD publish the book. Jacob has a talk with Joe who wants Jacob to speak to Emma and work things out with her. 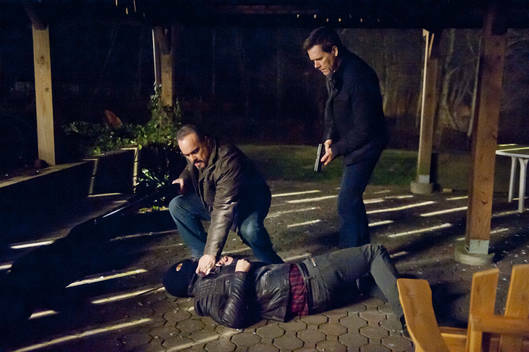 Joe wants Jacob to even forgive Emma for leaving he and Paul for dead. Jacob’s nightmares of Paul become hallucinations, only now, Paul is expressing contempt of the idea of forgiving Emma, and expresses and extension of what Jacob already feels, which is that Emma is selfish and self serving and doesn’t deserve to live. 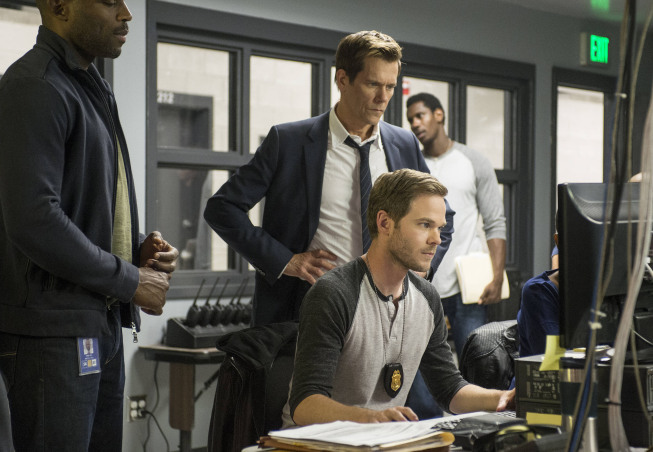 Meanwhile, back at the FBI headquarters, Debra and the team have figured out that Ryan has ditched their SIM cards and GPS devices for their own safety, and Debra thinks she knows where Ryan was heading, somewhere in Brooklyn, NY, which is a safe haven for protective custody. They soon realize that Ryan and Claire were not heading to Brooklyn, and are now out of reach of the FBI. Back at Ty’s home, Ty and Claire have a conversation about Ryan and what he has been doing for 8 years regarding his love life. Claire had hoped Ryan had moved on from her and found love. Ty recalls one of Ryan’s love interests, whom he really thought would work out for Ryan, and in a Flashback, we see that this love interest, Molly, looks VERY similar to Claire. Ryan cared enough for Molly to introduce her to Ty and even have a dinner party with them. Ty concludes that although she seemed like what Ryan needed in love, she was not Claire, and in the end, the relationship did not work out. Ty indicates that Ryan may not have ever loved anyone like he loved Claire, and doesn’t even consider that relationship a success beyond what he and Claire had. Claire finds a tracking device hidden in her sweater, probably left on her while she was grabbed in the parking lot by the militiaman. The three are now on high alert and aware they are being tracked, and the militia will close in on the house soon. 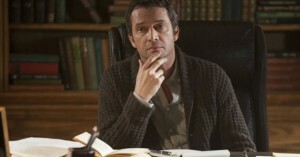 Jacob goes to Emma as Joe requested but cannot bring himself to believe or forgive Emma. Emma pleads for forgiveness, and when she doesn’t get that from Jacob, she insists he can’t stay mad at her, and she was only doing what she was instructed to do to deliver Joey to the home with Joe. Ty gets his guns and weapons out and puts them on the table for the group to defend themselves against the impending arrival of the militia. 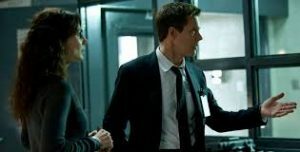 Ty reassures Claire and Ryan that he has a great alarm system, to which Ryan indicated that it should be no match for the tactical intelligence of this cult. Joey begins to ask Emma questions about their situation. He asks about the other cult members, and why they are all in that house, and why his father, Joe, got out of jail. Emma passed the questions off and Joe is tagged into the conversation to try to use the opportunity to bond with Joey. Joe purposefully begins to make s’mores incorrectly to draw Joey in and ask for his help in making the snack. Joey helps but once again asks about seeing his mom. Joe reassures him that reuniting Joey and his mom are going to happen very soon. Ryan and Ty stay up and prepare to defend the home, and Ryan instructs Claire to lock and barricade herself into and upstairs bedroom. Claire, using her time very unwisely, decides to strike up a conversation with Ryan about why he never contacted her for 8 years, and tells him she still loves him very much. Ryan tells Claire too that he loves her. Claire believes they both are so damaged, that they are perfect for each other. Ryan is still convinced that anyone he gets close to will inevitably die. The militia and Roderick follow the signal to Ty’s home where they close in on the house in the dark of night. One member is immediately gunned down outside of the home by Ty. “One down” is stated, insinuating two to go. Ryan goes indie to check on Claire and predictably, Claire CANNOT follow instructions and since she heard the gunshot, wanders downstairs in the dark to startle Ryan. The other 2 militia members close in and there is a gun battle outside. Ryan runs to assist Ty, and Ty doesn’t know if he shot any of the enemies, but turns to reveal he has been shot in the stomach twice. He is laid down to rest with Claire to care for him while Ryan moves around the edge of the house to secure their safety. Ryan leaves Claire a hand gun to protect herself. Again, as if she is TRYING to get hurt, Claire wanders outside with her gun and of course, is confronted by Roderick and the other militia member. Roderick talks her out of shooting either one of them by promising to reunite her with her son Joey. She doesn’t hesitate to throw her gun away and get in the car with the two men. Ryan runs outside but is too late to stop the car from driving off with Claire in the back, who mouths the words, “I LOVE YOU” to Ryan as the car speeds off. Ryan runs to his vehicle only to find the tires have been flattened and he is now powerless to even follow the car leaving with Claire. Emma comes to Jacob, conveniently, while he is lying in his room, to check on Jacob and try to persuade him once again to make amends and forgive her. Emma uses their former attraction to each other to rekindle Jacob’s feelings for her. 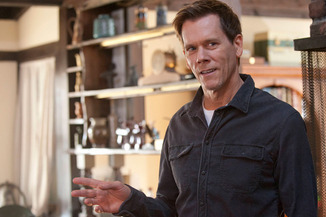 While making love, Jacob begins to have hallucinations of Paul standing over them with a look of disapproval. Jacob excuses himself to his bathroom where he has a discussion with his hallucination of Paul. Paul insists that he kill Emma. Jacob begins to stab and kill Paul even though he is a hallucination, and a graphic bloody stabbing ensues, where Jacob kills Paul again, but this time out of anger and confusion, by stabbing and cutting his throat with a knife Paul gave him to kill Emma. Jacob emerges from the bathroom, without all the blood he was covered with in the hallucination, and appears to have a strong change of heart for Emma. He confesses to Emma how he killed Paul with his bare hands, and she had better watch her back. Emma appears to be terrified of Jacob now. Joe phones Ryan, who is waiting beside Ty’s hospital bed. Ty has survived the ordeal with the militia but appears to be unconscious. Ryan and Joe have an exchange and Ryan appears to be guilt ridden for what has happened to his friend, as well as exhausted from his efforts to protect Claire when she simply got into a vehicle and left his protection. Ryan no longer wants to be involved and tells Joe that he quits. Joe will not let him quit. Joe insists that all of these efforts are to make Ryan the man he is supposed to be. Flashback to Ty and Ryan in Ty’s home, where Ty advises Ryan that his death wish theory is not true or he too would be dead. He also advises Ryan that he needs to do all he can to prevent himself from pushing his girl away, which he seems to be talking about Claire but the scene cuts to a woman who looks almost exactly like Claire announcing to both men that dinner is ready. The woman calling the men to the table is in fact not Claire, but the woman that Ryan had a relationship with after her, named Molly. Flashback to the present at Joe’s compound where a car arrives in front of the home and a female guest walks to the front door. The expected guest to arrive would be Roderick, the Militia member and Claire, but instead a woman who looks strikingly similar to Claire appears in Joe’s study with a giddy smile and runs into his arms for a warm homecoming. 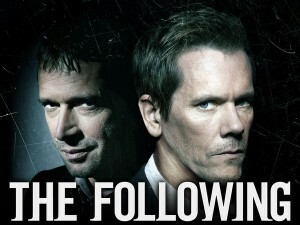 The woman is Molly, Ryan’s former love interest, and the suspense builds to next week’s episode of “The Following”. This entry was posted on Wednesday, March 27th, 2013 at 8:21 am	and is filed under News, Television. You can follow any responses to this entry through the RSS 2.0 feed. You can skip to the end and leave a response. Pinging is currently not allowed. « ‘Walking Dead’ Season 3 Recap – Episode 15 ‘This Sorrowful Life’! !